Excitement is in the air. You’ve been packing for what feels like years. The house is stuffed to the brim with moving boxes. Moving day is upon us! You are approaching the finish line, so make sure to get these last few things done the week of the move to ensure a smooth moving day. 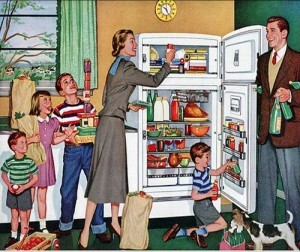 The last thing you want is for it to be moving day and have a fridge full of uneaten food. A week or two before the move, try not to buy too many groceries and focus on eating the stuff you have. You might also want to get some disposable silverware and pack the silverware early. If there is food you want to bring, buy a cooler such as this Yeti from Backwoods in Fort Worth so it will make it to your new home without turning into mush (this is summer in Texas after all). However, bringing liquids of any kind is NOT recommended. 3. If it can flame, throw it away. Flammables, aerosols, bleach, corrosives, ammunition, or plastic spray bottles should NOT go on the moving truck. If you don’t want to take them with you in the car, throw them out. Make sure all furniture that needs disassembled gets taken apart so the movers can wrap it and get it in the truck more efficienty. This includes things such as mirrors taken of dressers, headboards unbolted, and washers and dryers disconnected. This will save both you and the mover time on moving day. Call your mover to confirm their arrival time. You may also want to discuss where the movers will be parking so you will have your driveway all ready for the movers to pull up. 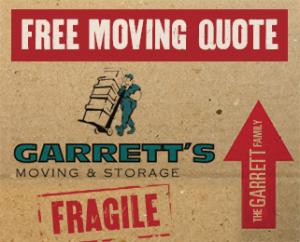 If you’re moving to Dallas, need moving services in Dallas or are looking for storage options, let Garrett’s Moving and Storage provide you a free moving quote. We’ve been in business for over 20 years and have a A+ BBB rating. We also have a best-in-the-industry extended coverage policy. Contact us today at 972-487-5843 for a free estimate or click here to request a quote online. Keep a lookout for our next blog from the premier Moving and Storage Dallas company, which will be discussing what you need to do on moving day itself. This entry was posted in Stress Free Moving Tips, The No Pack List and tagged Dallas Moving Companies, Movers Dallas, Movers in Dallas. Bookmark the permalink.